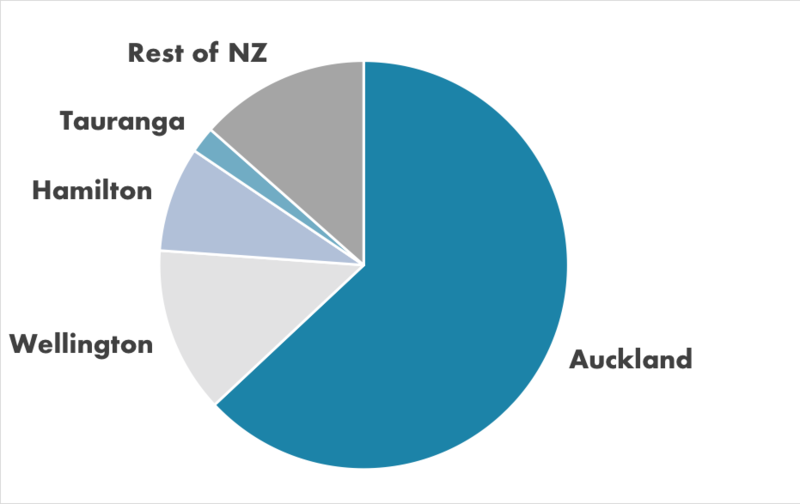 In the world of housing, New Zealand sits upon a mighty throne. We roost among some of our planet’s most inflated…most at-risk…most over-valued housing markets in existence. Sharing our high stage are countries like Canada, Hong Kong, Australia, Sweden and Great Britain. It’s a fun group. We sit around laughing and toasting to our great housing returns. We look down upon the rest of the nations, tottering about with their 1% or 2% annual gains. We announce that, thanks to the housing market, New Zealanders will soon be able to stop working altogether. Their homes will earn more than they ever could. Our proof? In Mount Maunganui, we’re experiencing that right now. Houses are appreciating by $41,000 per year while the median income is a mere $38,700. We’re having a good ol’ time, filled with debauchery and joy. Then Great Britain…then Sweden…then Hong Kong. We’ve all been there. In our offices or workplaces, everyone starts catching something. We dread the moment, but we know that we’ll inevitably get sick too. In housing, we’re seeing our peers starting to look a bit green. Our brothers in Hong Kong are seeing rents drop by double digits annually, with analysts predicting a 40% freefall within two years. Our syrup-sipping friends in Canada have seen home resales drop by 43.5% year-over-year. And they’re especially nervous as Toronto and Vancouver hold the third and fourth most at-risk cities in the world, according to UBS. London house prices are falling for the first time since 2009, with a looming Brexit around the corner to trigger a full-scale fire sale. And sunny Sydney — plus its equally plump sister, Melbourne — has seen prices slip for 12 months in a row. It’s on track for a 20% fall in the coming months, according to AMP Capital Chief Economist, Shane Oliver. We picture our multimillion-dollar, one-bedroom, no-bath beach houses on the Coromandel. We think hard of our $1.36 million shed in Kingsland. ‘Historically, Auckland follows behind Sydney by about 12-18 months and their property market is currently falling sharply. Unfortunately, the negative momentum across the Tasman appears to be accelerating. Recent auction clearance rates in Sydney have collapsed and during October traded towards levels last seen in the GFC (in the 30 per cent range). But it’s not for a lack of trying. Our favourite Housing Minister, Phil Twyford, has been hard at work day and night on KiwiBuild — the scheme that was supposed to fix this mess. ‘100,000 homes!’ the KiwiBuild website boasts. So far, our nation of 4.8 million Kiwis has been blessed with how many of these saviour-homes? Surely there’s a couple of digits missing there, right? Unfortunately, as Stuff.co.nz confirms, only 74 of the promised 100,000 have been delivered. Maybe instead of meddling on the supply side, we stick our fingers into the demand side. Block foreigners from buying our houses. That should fix it, right? The idea was to lightly soften the market. Enough so that politicians can claim victory, but not so much that it kills homeowners. Who better to target for this political manoeuvre than the group of folks who don’t matter because they don’t vote — foreigners. Here’s the thing about it — cutting out a section of demand puts a downward pressure on prices…which is what everyone knows needs to happen. But the risk is that this, along with dozens of other economic pressures, could accelerate the price drop to crash/collapse levels. And every research report I’ve seen from outside sources — think IMF, UBS or OECD — points to New Zealand being vulnerable of a GFC-tier collapse. Twyford’s 74 houses won’t make much of a dent. Neither will blockading a microscopic minority of homebuyers. Feeling bleak, we cross our fingers, close our eyes and hope we don’t catch the contagion too.